Renting in New York City: What will $2,700 get you? We've rounded up the latest rental listings via rental site Zumper to get a sense of what to expect when it comes to finding a rental in New York City with a budget of $2,700/month. 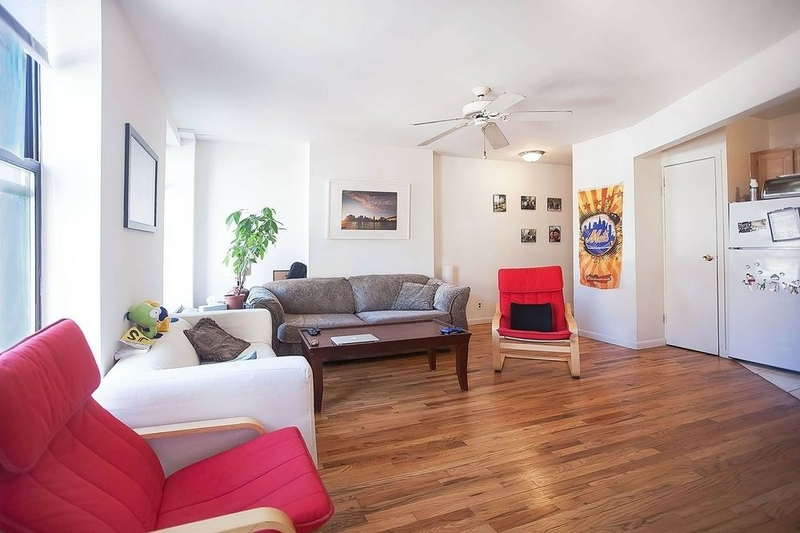 Listed at $2,700/month, this one-bedroom, one-bathroom apartment is located at 310 W. 95th St. The building has on-site laundry, an elevator and storage space. In the unit, prospective tenants are promised hardwood and tile floors, high ceilings, ceiling fans, wooden cabinetry and closet space. Sorry pet owners, neither cats nor dogs are allowed. Per Walk Score ratings, this location is extremely walkable, is quite bikeable and has excellent transit. Next, check out this one-bedroom, one-bathroom apartment that's located at 876 Lexington Ave. It's also listed for $2,700/month. The unit features high ceilings, hardwood flooring, air conditioning and heating units, a dishwasher, white appliances, wooden cabinetry and a breakfast bar. Both cats and dogs are welcome. Walk Score indicates that the surrounding area is a "walker's paradise," has some bike infrastructure and boasts excellent transit options. Listed at $2,700/month, this one-bedroom, one-bathroom apartment is located at 534 E. 88th St. The building has on-site laundry, outdoor space, an elevator and on-site management. In the apartment, you can expect hardwood floors, high ceilings, built-in shelves, closet space, white appliances, wooden cabinetry and a balcony. Neither cats nor dogs are welcome. According to Walk Score's assessment, this location is a "walker's paradise," is very bikeable and is a haven for transit riders. Next, there's this one-bedroom, one-bathroom apartment over at Brooklyn Avenue. It's listed for $2,700/month. The building has on-site laundry, outdoor space, a fitness center, a roof deck, an elevator and extra storage space. Apartment amenities include hardwood and tile floors, exposed brick, large windows, stainless steel appliances and wooden cabinetry. Pet owners, take heed: cats and dogs are welcome. Located at 53 Ludlow St., here's a one-bedroom, one-bathroom apartment that's listed for $2,700/month. Amenities offered in the building include on-site management and extra storage space. In the unit, you can expect hardwood flooring, both air conditioning and heating units, a dishwasher, stainless steel appliances, wooden cabinetry, exposed brick and in-unit laundry. Animals are not welcome. Per Walk Score ratings, this location has excellent walkability, is quite bikeable and has excellent transit.